Hello deliciousness! 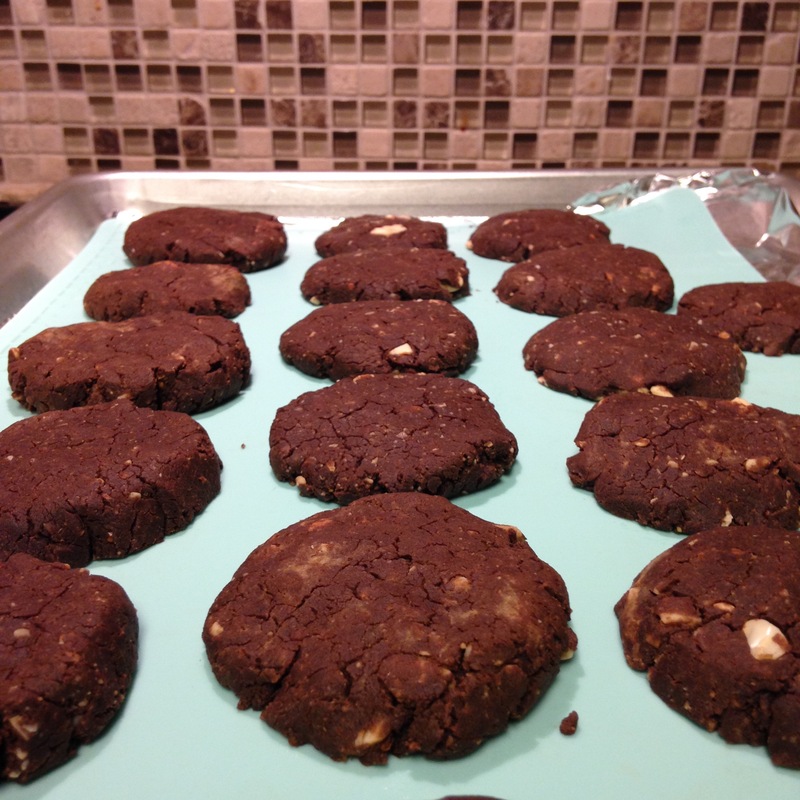 Maina here, and today I’m sharing an awesome dessert that I found on Happy Healthy Mama. As a life-long-lover of peanut butter and chocolate I am always on the lookout for recipes that contain my two favie-fave ingredients. In the past 3 years chocolate has been mostly non-existent in my diet, on account of my hypoglycemia. I alway seek out recipes that contain only natural sugar and can be whipped up quickly and easily. 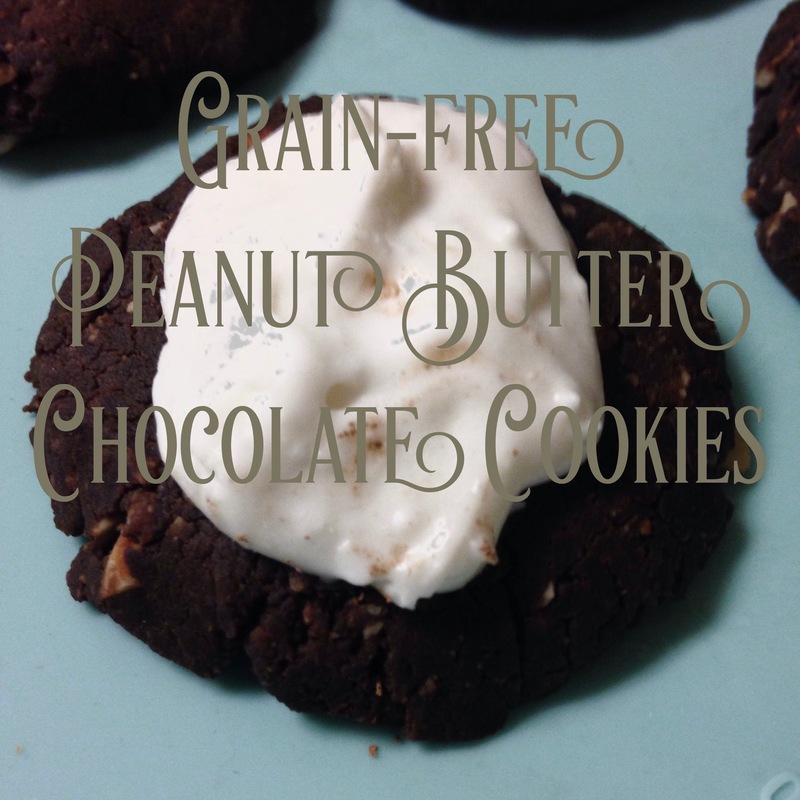 The original can be found here <<Recipe here>>, so what did I do different? Well, chocolate chips have sugar in them so first I needed an alternative, and all I had on hand was cocoa powder…so they became more like a peanut butter chocolate cookie-dough cookie. It sounds irresistible, right? It is! Preheat oven to 350 degrees. Combine all ingredients in a food processor, pulse and scrape down sides. Once combined roll into tablespoon sized balls, drop on cookie sheet with a silicone baking mat and push down in center of cookie to shape. These cookies don’t spread or expand, so place them close together, that way you can fit them all of one cookie sheet. Bake for 20 min, remove from heat, and place on rake to cool. Take these cookies to the next level of heavenly by topping them with coconut whipped cream. 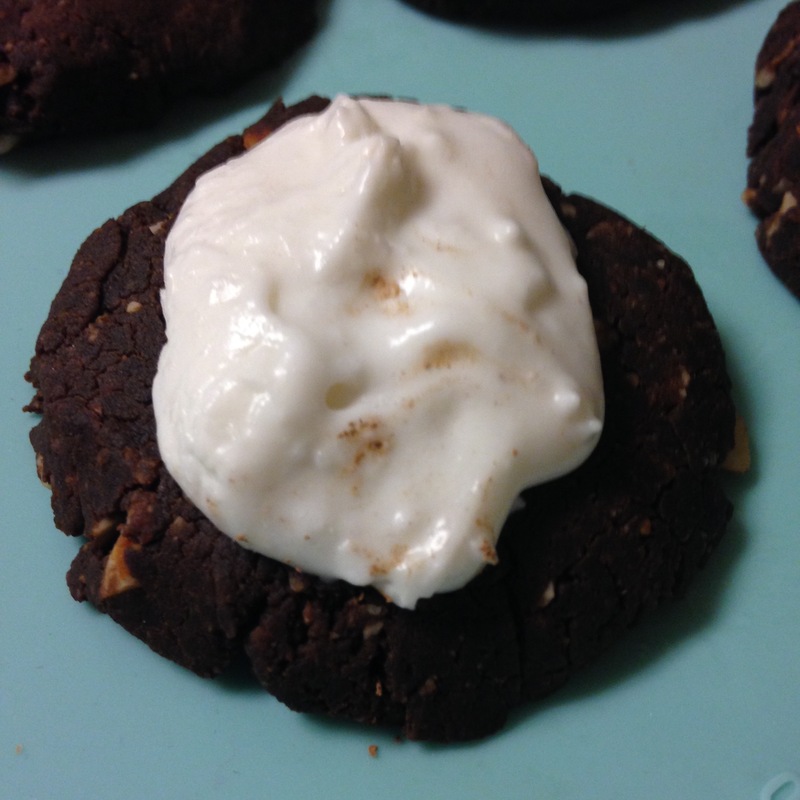 I make mine with coconut cream (refrigerate a can of regular coconut milk for 2 hours and scrape off just the creamy top, whip with a tablespoon of agave nectar, and top cookie. Wowee!